If you have been following your dispatches from the alternative universe of the conservative movement, you have recently learned that the Obama administration has singled out a new industry to crush beneath its jackboot. The victim in question is the for-profit college industry—Strayer University, ITT Tech, Kaplan University, and so on—singled out apparently at random and threatened with onerous new regulation. And yet, a closer examination of the facts suggests that the existence of profit may not be the decisive factor in the persecution of the latest martyrs of capitalism. A series of exposés in The New York Times last year revealed that the for-profit industry soaks up a vast and growing share of federal college subsidies with little to show for it. The for-profits account for 11 percent of all college students, but 43 percent of federal student loan defaults. The problems are twofold. First, fraud appears to be a standard element of the business model. Since the government guarantees almost every loan regardless of whether the students can pay it back, the institutions have an incentive to sweep in as many students as possible, regardless of their prospects of graduating. The General Accounting Office had investigators pose as prospective students applying to 15 major for-profit colleges. All 15 institutions made misleading sales pitches. Legions of disgusted former employees have revealed the industry’s deceptive tactics. 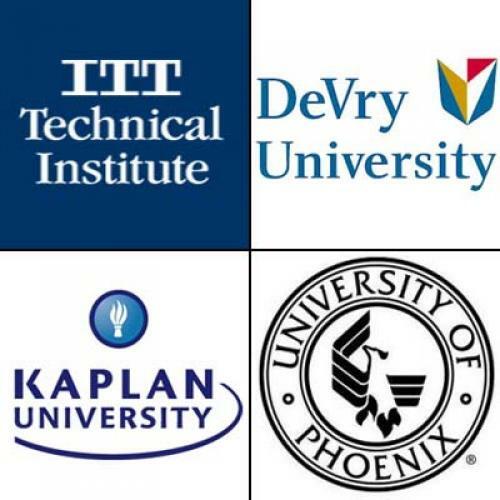 The largest for-profit, the University of Phoenix, graduates less than 10 percent of its students within ten years. Worse, most of those students who do graduate acquire little to no added value in the job market. Chefs told the Times they considered graduates of some for-profit culinary schools no better than other entry-level workers. (“It doesn’t really give them any edge,” said one.) Graduates of criminal justice programs, sold on careers in the FBI, wound up getting the same entry-level security guard jobs as applicants with high school diplomas. Graduates and dropouts alike described crushing tuition debts they had no prospect of repaying. Responding to the outcry, or perhaps merely ravenous at the bloodscent of a wounded capitalist thrashing in the water, the Obama administration proposed to subject the industry to some standards. To be eligible for federal college tuition subsidies, a certain number of an institution’s students must repay their loans and a certain number must find employment within their field of study. From here, events unfolded in the classic comic-cynical Washington manner. Melanie Sloan, a liberal good-government lobbyist, took to The Huffington Post to lambaste critics of the for-profit industry. Sloan’s complaint centered around the fact that one critic testifying against the industry was the hedge-fund investor Steve Eisman (who had openly disclosed he was shorting stock in for-profit colleges, which he considered a disaster waiting to happen). Democratic lobbyist Lanny Davis, whose hiring on behalf of any client is itself conclusive evidence against their cause, took to the pages of The Hill, where he pounded home the odd theme that liberals ought to abhor short-sellers. Having given away a taste of the milk, Davis began selling it, subsequently announcing that his firm would go to work for the for-profit college industry. He later announced, and then abandoned, the hiring of Sloan to work for his firm. If you look closely at the industry’s own numbers, though, this doesn’t hold up. A paper published by the industry lobby blithely asserts, “At least half of the difference in default rates between for-profit and not-for-profit schools is because they serve different types of students.” This is written to sound like a defense. But, of course, if the students account for half of the for-profit industry’s higher default rate, then the for-profit industry’s terrible job of preparing its students accounts for the other half. The industry’s defenders’ emphasis on the untraditional character of its student body—“African-American and Hispanic students are enrolling in for-profit universities at a greater rate than in traditional universities,” argues the Heritage Foundation—carries a certain irony. Remember the endlessly repeated conservative claims that excessive lending to poor and minority homeowners caused the economic crisis? That story is a horribly unpersuasive explanation of the financial crisis, but it’s a very apt explanation of the for-profit college industry. Here you really do have lenders shoveling loans into the hands of people they know perfectly well will never be able to repay them. Obviously, some students who go through for-profit colleges proceed to have successful careers. The trouble is the current business model, in which the schools can profit regardless of whether they help their students. The industry could be made to work if given a regulatory incentive to improve its students’ career prospects, rather than just shanghai as many warm bodies as possible. The question at hand is whether the federal government should apply some performance metric to its college loans or simply hand out cash willy-nilly. Amazingly, handing out cash willy-nilly has become the conservative position in this debate. Jonathan Chait is a senior editor at The New Republic. This article originally ran in the March 24, 2011, issue of the magazine.